"Nowadays, probably no other performer could infuse (that song) with the manic mischief that Jason Graae, a frisky clown with a real tenor, pumped into it..."
"Jason Graae raises versatility to new heights." "I laughed so hard I choked on my 2 drink minimum!" 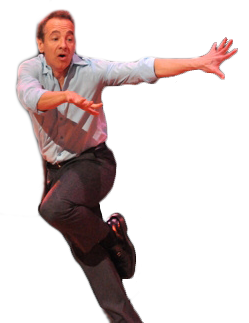 Jason Graae has starred on Broadway in “A Grand Night For Singing”, “Falsettos”, “Stardust”, “Snoopy!”, “Do Black Patent Leather Shoes Really Reflect Up?”. Off- Broadway shows include “Forever Plaid”, “Olympus on My Mind”, “All in the Timing”, “Hello Muddah, Hello Fadduh (Drama Desk Nomination- Best Actor in a Musical)” and many more. Benefit for Barbara Sinatra Children’s Hospital. Jason joins an incredible roster of performers including Lucie Arnaz, Ann and Liz Callaway, Brent Barrett, Davis Gaines and Karen Ziemba. So You Wanted To See The Wizard? 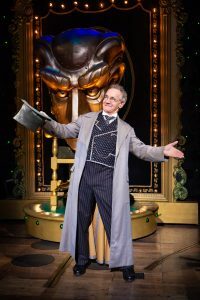 Jason is currently appearing as the Wonderful Wizard of Oz in the National Tour of Wicked.